When I first planted my feet on the enchanting island of Bali, it was love at first sight. 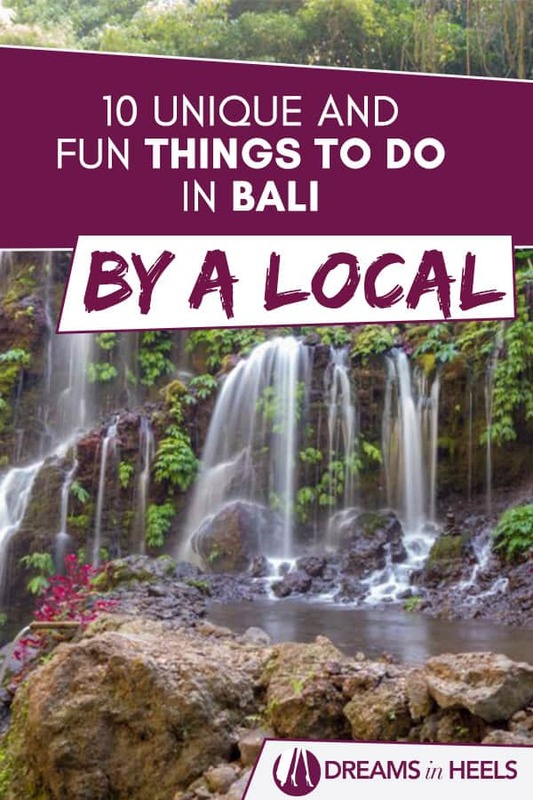 I felt so connected to the island, and found so many unique and fun things to do in Bali. You can truly find it all from best activities, spirituality, delicious eats, and maybe even love! 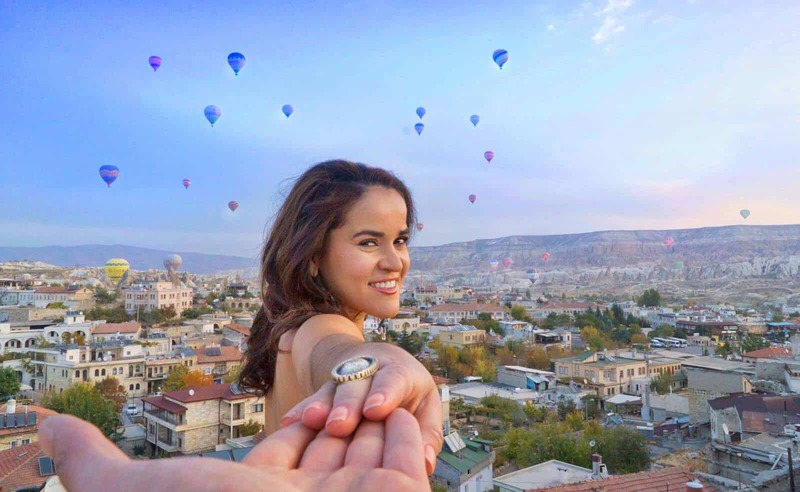 Just to give you a little background about my story: In 2009, I was itching to get out of my cubicle life in New York City to explore an exotic destination and expand my world. 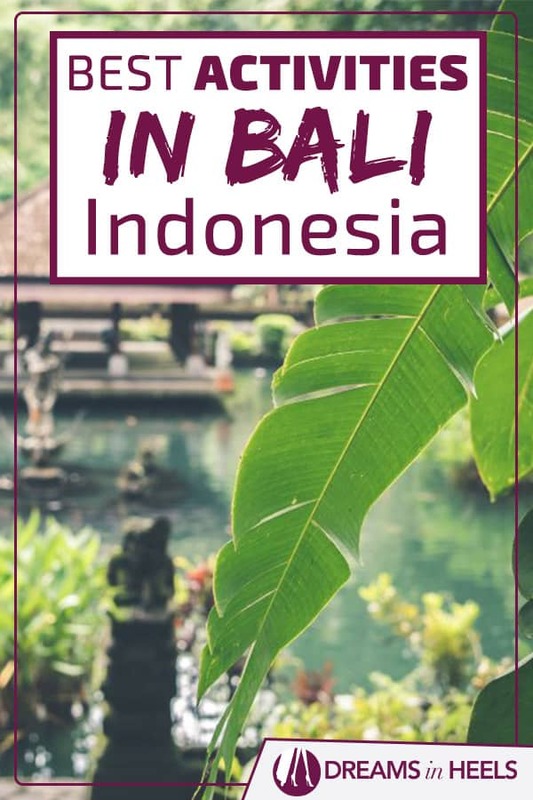 Bali had been my ultimate dream destination for its white sand beaches, pristine waters, tall and lush palm trees, and vast horizon of rice terraces. So I planned my paradise getaway and made Bali my first solo trip destination! Little did I know then, that it would change the course of my life. Bali was everything I had imagined, and more. From the smiling faces that welcomed me everywhere I went, the beautiful Hindu offerings with fragrant incense that filled the streets, to breathtaking sceneries of the beaches and the mountains – Bali took my breath away. I returned to New York City with a promise that I would be back one day. By 2013 I had quit my job, bought a one-way ticket back to Southeast Asia, backpacked my way around the region for nearly a year, and eventually settled in Bali to start a new life abroad. Now, even after many years of making Bali my home, I fall in love with this island over and over again. Whether you love the water, jungle, culture, or history, Bali offers just about everything you can imagine. And in this post, I am excited to share with you some of my favorite and unique things to do on this incredible island. 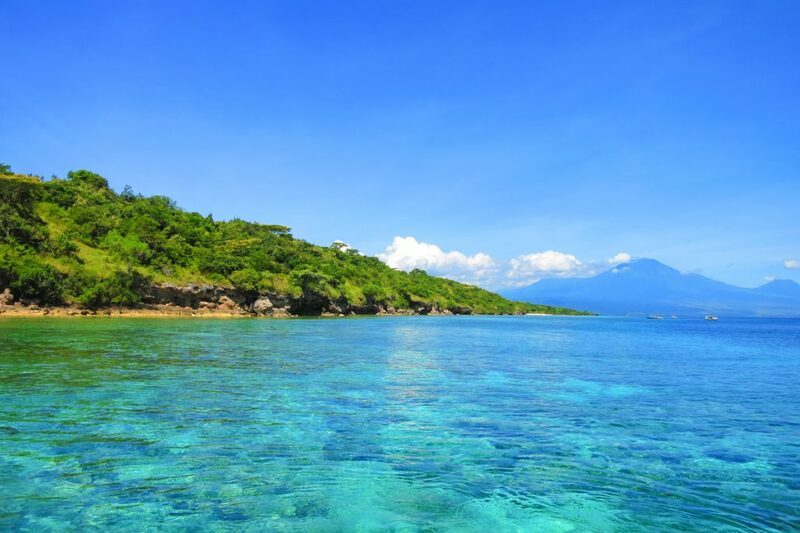 Located at the northern tip of Bali about 5 hours north from the Ngurah Rai International Airport, Menjangan Island is a part of the protected West Bali National Park that hosts some of the healthiest and vibrant coral reef systems around the island. The brilliant colors of the reefs and the abundance of tropical fish and other marine life is simply spectacular. If you are a lover of the ocean and its habitants, do not miss the Menjangan Island – it will blow you away. The best way to explore the Menjangan island is to either stay at the Menjangan Resort which is located in the National Park or stay in the nearby town of Pemuteran where you can book a snorkeling tour to the Menjangan island. You might also like: 10 Unique Travel Destinations in Southeast Asia – Best places to go in Southeast Asia! 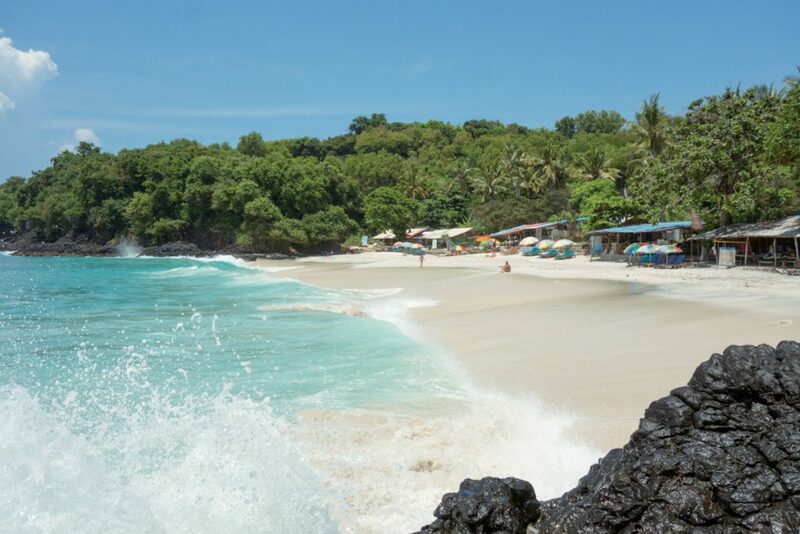 Nusa islands consist of 3 sister islands – Nusa Lembongan, Nusa Ceningan, and Nusa Penida – that are located about 30 minutes east of Bali’s mainland on a speedboat. The island trio has become extremely popular over the last several years due to its dramatic cliffside views, baby-blue waters, perfect white sand beaches, and the stunning underwater world. If you love water adventures such as cliff jumping, scuba diving, surfing or paddle-boarding, you must visit the Nusa islands! My favorite island is Nusa Lembongan, which is the most developed island of the three – you can find just about any cuisine and accommodation that fits all levels of budget. But if prefer more of an off-the-beaten-track destination, check out Nusa Ceningan and Nusa Penida before they blow up! The islands are growing rapidly year after year. If you head to any of the Nusa islands, be sure to book either a snorkeling or scuba diving trip to Manta Point to swim with the majestic Manta rays! 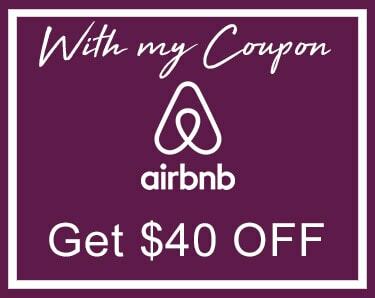 That’s one experience you won’t want to miss! The manta ray sighting in Bali is said to be one of the best in the world. Did I mention that Bali is a nature lover’s heaven? 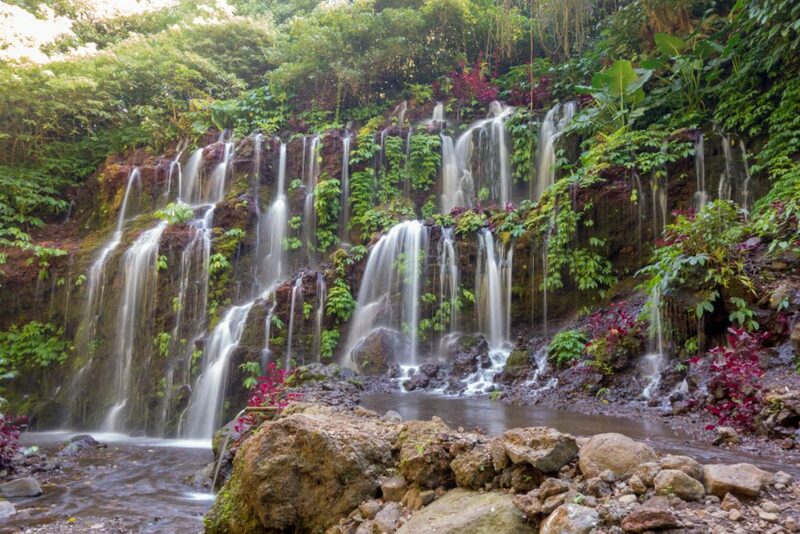 There are some 20+ waterfalls in Bali, and it may be difficult to narrow down which ones to visit if you are on a limited vacation. I have been to many waterfalls on the island, but the two that blew me away were Tukad Cepung Waterfall and Banyu Wana Amertha Waterfall. Tukad Cepung is about an hour from Ubud and easily accessible. What makes this waterfall unique is the combination of the sunbeam and the waterfall streaming through a cave opening in unison, creating a mesmerizing sight as you look up from the ground. Tukad Cepung is definitely one of a kind! Recommended: 1 week in Laos Itinerary – A 7 Days in Laos Travel Adventure! Even though Banyu Wana Amertha is a bit further north on the island, I loved this waterfall because you can find not just one, but four waterfalls in one location! There is one particular waterfall called Bhunansari, where multiple streams of water cascade down a cliff wall surrounded in lush jungle. It is breathtaking! Bali being predominantly Hindu, there are thousands of Hindu temples, but it is quite rare to find other religious monuments around the island. 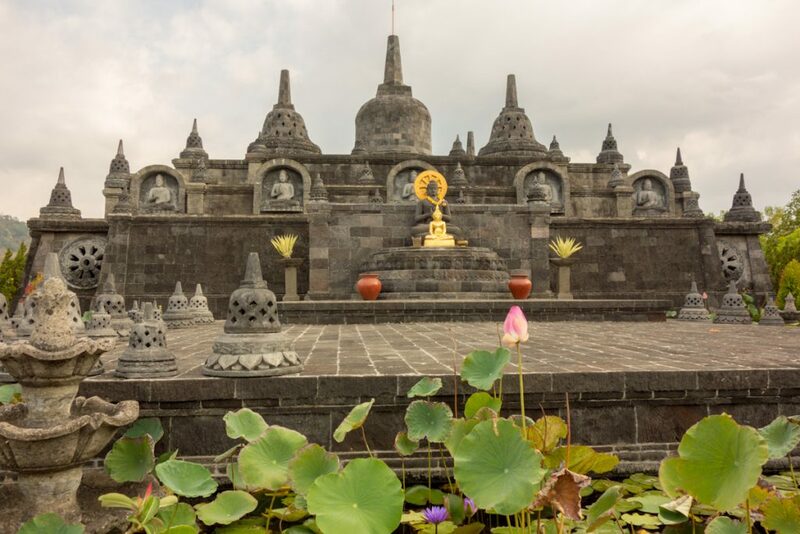 Brahma Vihara Arama is the largest Buddhist monastery in Bali, located in the Buleleng regency in the north. The monastery is situated on a hill and hosts a small replica of the Borobudur which is beautiful and impressive, despite being a “mini” version. There are several buildings that you can walk through and meditate in, or you can simply admire the sculptures and intricate architectures. There are many steps for you to walk up and down between the buildings at Brahma Vihara Arama – so this may be a challenging attraction if you have bad knees or are otherwise physically impaired. 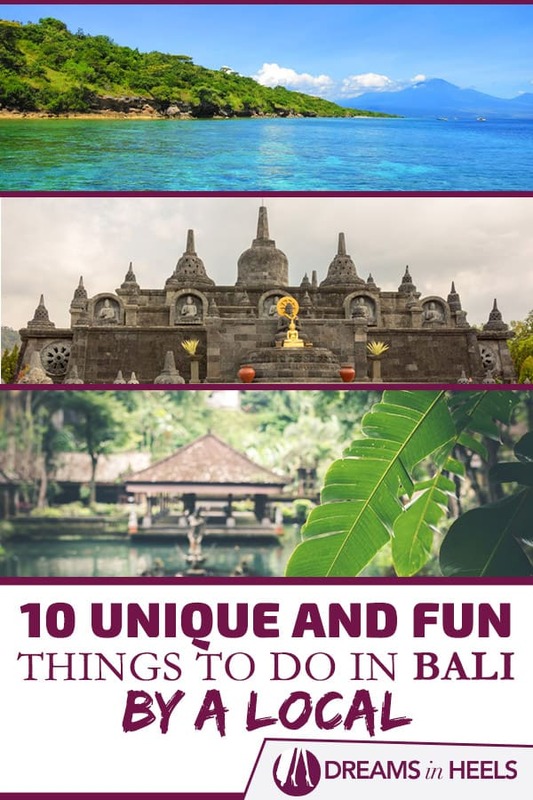 For a complete travel guide to north Bali including things to do and where to stay, check out this travel guide. With Bali becoming increasingly popular as a tourist destination, finding a traditional and authentic Balinese experience is difficult unless you plan your itinerary off the beaten track. 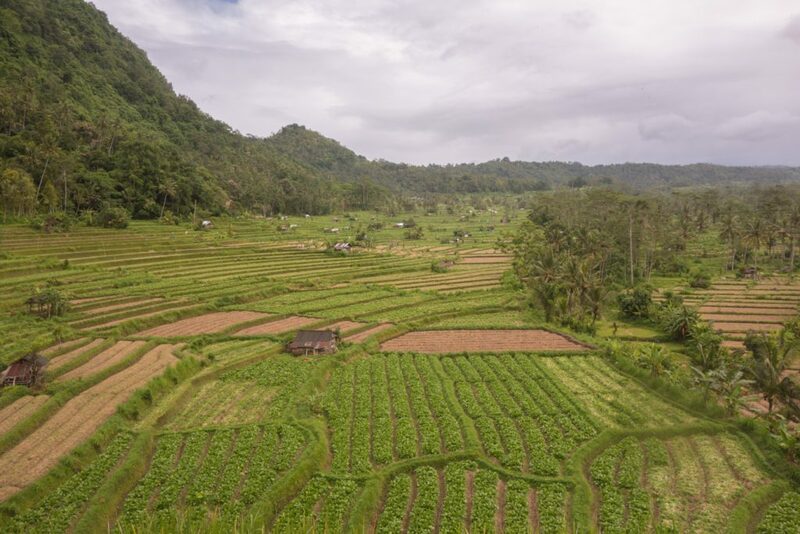 If you want to discover quintessential Bali with rice terraces, local village life, farming landscape, and lush green horizons, then head to Sidemen. Despite being located just an hour east of the famous Bali destination of Ubud, Sidemen remains a world away from the hustling and bustling mecca of tourism. There are no bars, bistro cafes, or fancy restaurants in Sidemen (at least not yet!) – but you can soak in the stunning panoramic scenery of the hills and valleys and enjoy the peaceful countryside like no other. While in Sidemen, I encourage you to sign up for a guided trekking/hiking/cycling tours in town, which is Tabola. I also recommend that you spend at least one night in Sidemen to explore the hills and immerse yourself in this enchanting village of traditional Bali. It’s becoming more rare to witness local life on this fast-developing island. Take advantage of it while you still can! 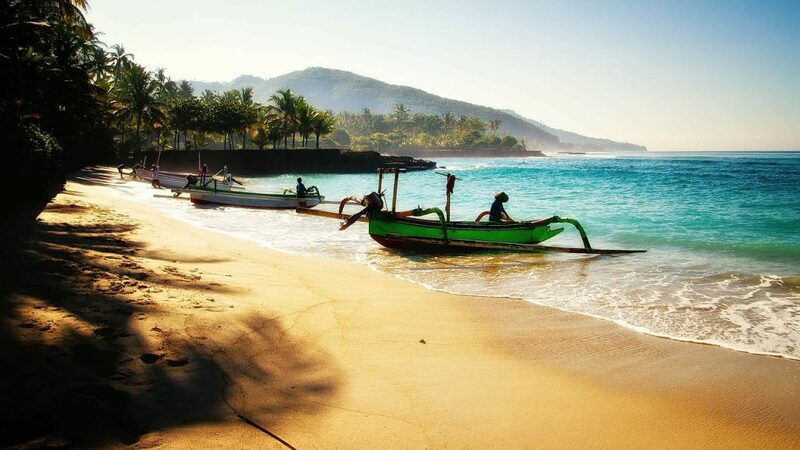 Bali is known for many things, but one thing that attracts visitors from around the world is its beach scene. From the white sand beaches in Uluwatu to black volcanic sand beaches along the east and north coasts, Bali offers just about every shade of beach you can imagine. But if you are looking for fine, powdery, white sand beach on your Bali vacation, Bias Tugel in Padang Bai is some of the best you will find! 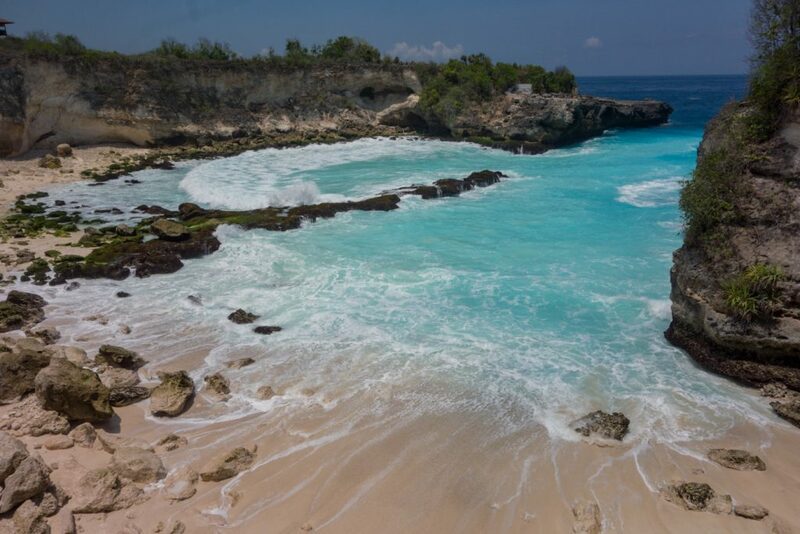 And not only is Bias Tugel one of the most beautiful white sand beaches on Bali, but it is also quite the hidden gem! Unlike the other beaches on the west coast, you won’t find this beach overflowing with drunken tourists. So if you ever want a peaceful beach day while you are in Bali, put Bias Tugel beach on your bucket list! 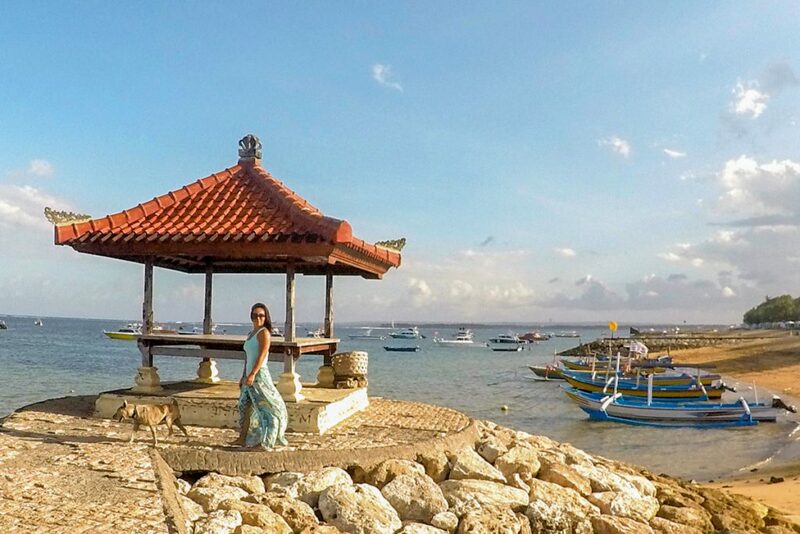 Known as the “sleepy” beach town, Sanur is located on the east coast just 30 minutes from the airport. I called Sanur my home for nearly 5 years, and it is a perfect beach destination without the massive crowd of Kuta, Seminyak or Canggu. And unlike the west coast where the sand is brown to grey, the beach in Sanur is a beautiful gold tone with calm waters most of the year. I love Sanur for the quaint beach vibe, with just enough activities, restaurants and accommodations to make your stay comfortable and enjoyable. Sanur is where the fast boats depart for Nusa islands, Gili islands, and Lombok so if you plan to escape to the nearby islands, it’s definitely worth spending a night in Sanur. And don’t forget to check out the Sindhu Night Market at the north end of Sanur town and try some local food! I will be the first to admit that Ubud is touristy – but sometimes, a destination is popular for a good reason. I am usually not the one to recommend crowded, overdeveloped places but Ubud is one “touristy” place in Bali you should visit. Ubud is named the spiritual healing center of Bali, and you can find countless yoga studios, vegan cafes, meditation retreats, and spa parlors. I’ve also found unique events in Ubud such as Kirtan, Reiki sessions, sound healing therapy, etc. 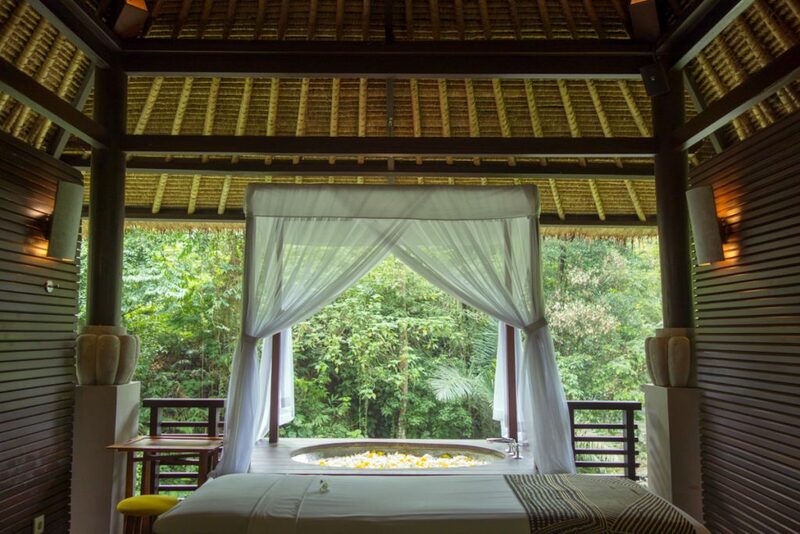 There is a special feeling in Ubud that is distinct from anywhere else I’ve been in Bali. Despite being crowded, there is something about the space that is soothing, serene, and peaceful. They don’t call Ubud a healing center for nothing. 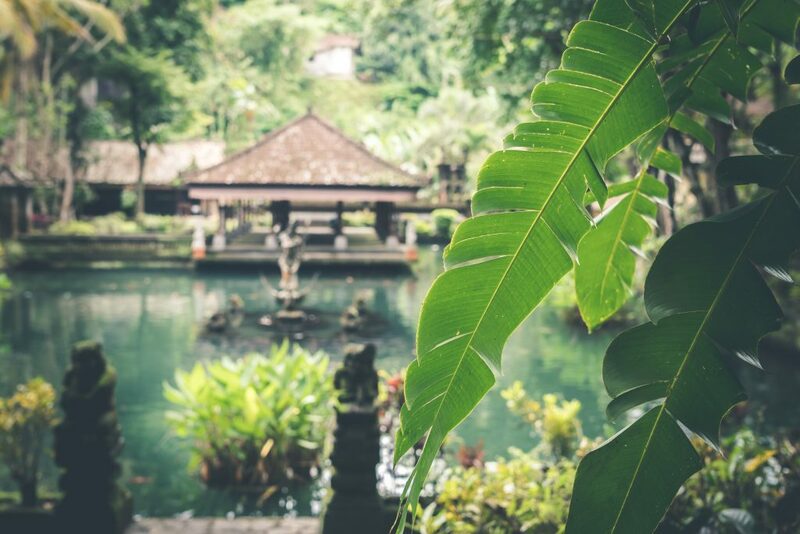 Since Ubud is located in the center of the island, it’s a great location to base yourself for excursions to nearby waterfalls (such as Tukad Cepung), temples (such as Tirta Empul), and rice fields (such as the famous Tegallalang). Jatiliwih Rice Terrace is a UNESCO World Heritage Site that represents an iconic Bali with vast, sculpted rice terraces with tall palm trees peppered throughout. 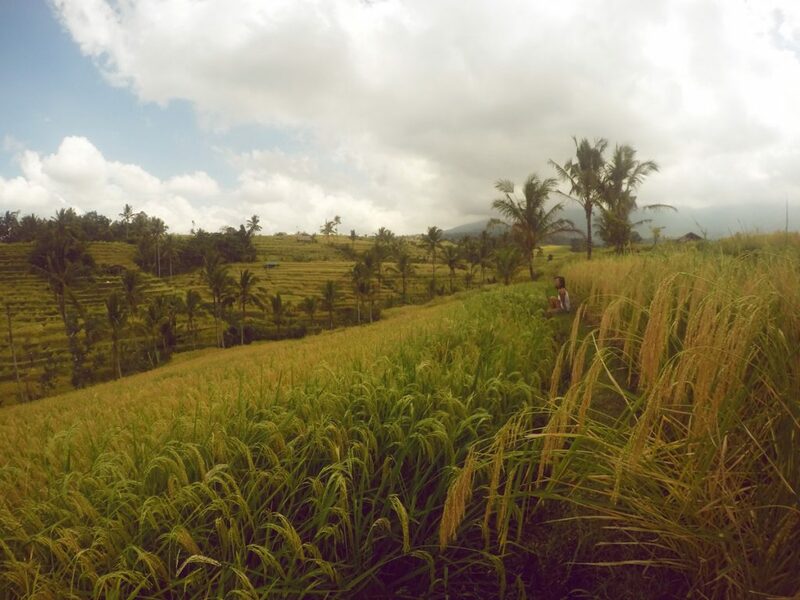 Although you can visit many rice terraces in Bali, Jatiluwih is the only place that offers hiking trails through the fields, making it more accessible for visitors. There are three trails through Jatiluwih. The shortest one will take about 30 minutes, and the longest one about 1.5 hours. Although Jatiluwih Rice Terrace attracts many tourists, it never feels overcrowded due to the enormous size of the property. When I visited Jatiluwih, I took the longest trail and ran into only a few other visitors during the entire hike. The endless horizon of rice terraces at Jatiluwih is breathtaking – be sure to put this one of your Bali itinerary! You won’t regret it. Canggu is perhaps the hottest town in Bali right now for surfers, beach lovers, foodies, and digital nomads. As with many other Bali destinations, Canggu has developed exponentially over the last few years with improved infrastructures, accommodations, cafes, and co-working spaces, making it one of the most desirable places, particularly for the millennial crowd. As Kuta, Legian and Seminyak have become flooded with tourists, surfers are making their way a bit further north to Canggu for the laid-back island vibes, amazing food options, and surrounding rice fields. 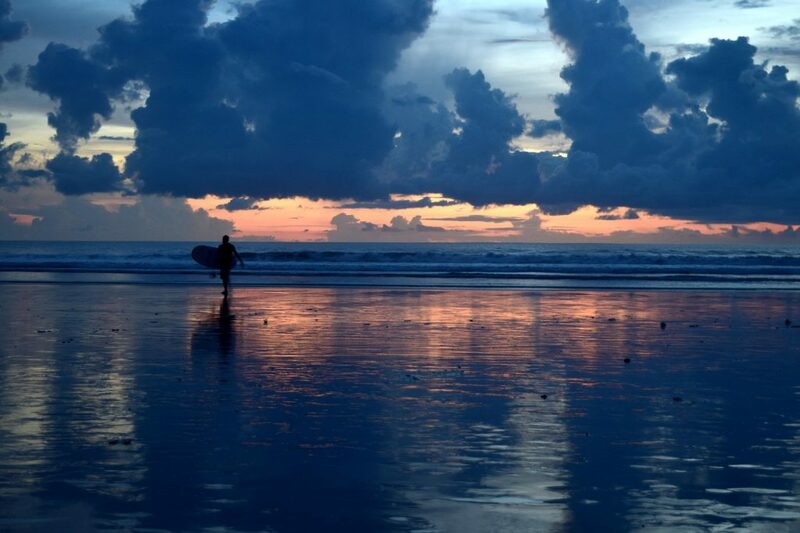 The surf conditions in Canggu are generally ideal for all levels of surfers so whether you are a beginner or an experienced surfer, you are guaranteed to have a great time! 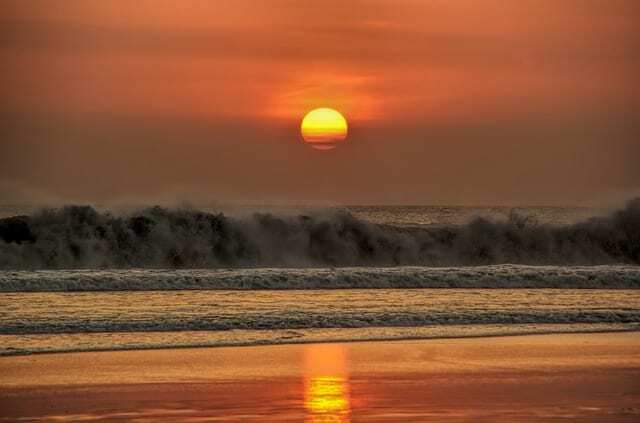 After a day of surfing lessons, grab a beer, head to the beach and catch some epic sunsets – the orange hues on the west coast of Bali are some of the most vibrant you will ever see! This is a guest post by Mo of Travelust 101. Follow Mo’s adventures on Instagram and Facebook.